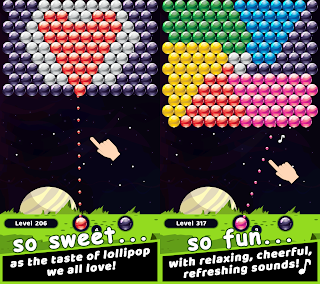 Home » lolly-pop-bubble-shooter » Discover the galaxy: Lolly Pop Bubble Shooter version 2.0 with more than 795+ new unique levels on Android! 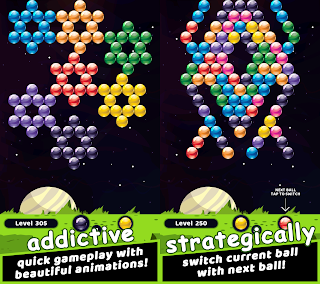 Inspired by classic bubble shooter gameplay and best match-3 games, served with the sweet taste and beauty of Lollipop we all love, Lolly Pop Bubble Shooter is surely one of the best colorful lollipop shooting bubbles games for touch screens, your next free-to-play challenging bubbleshooter game! 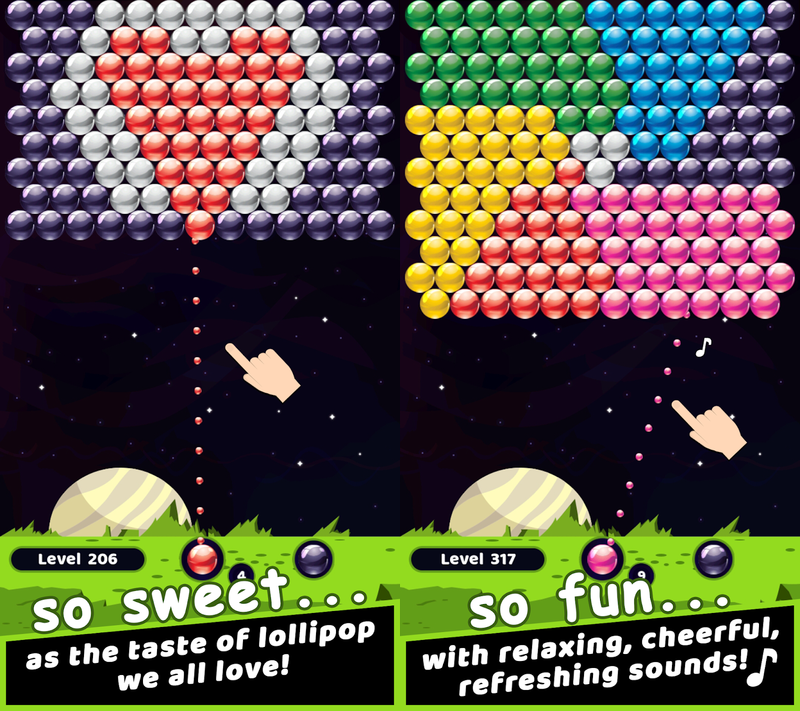 Lolly Pop Bubble Shooter is a perfect adults and kids match 3 puzzle game that lets you match and burst colorful bubbles. 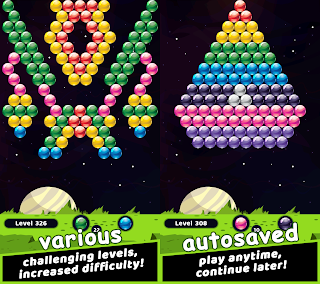 The objective of this popular arcade game is to match and pop bubbles and complete the puzzles. Matching at least three colors will burst the bubbles. ★ Simpler user interface (UI), Easy to learn with in-game how to play! ★ Fast-paced Gameplay with Beautiful graphics and animations! ★ More than 795+ Unique Levels and growing! Match and pop colorful bubbles in special "handmade" unique stages! 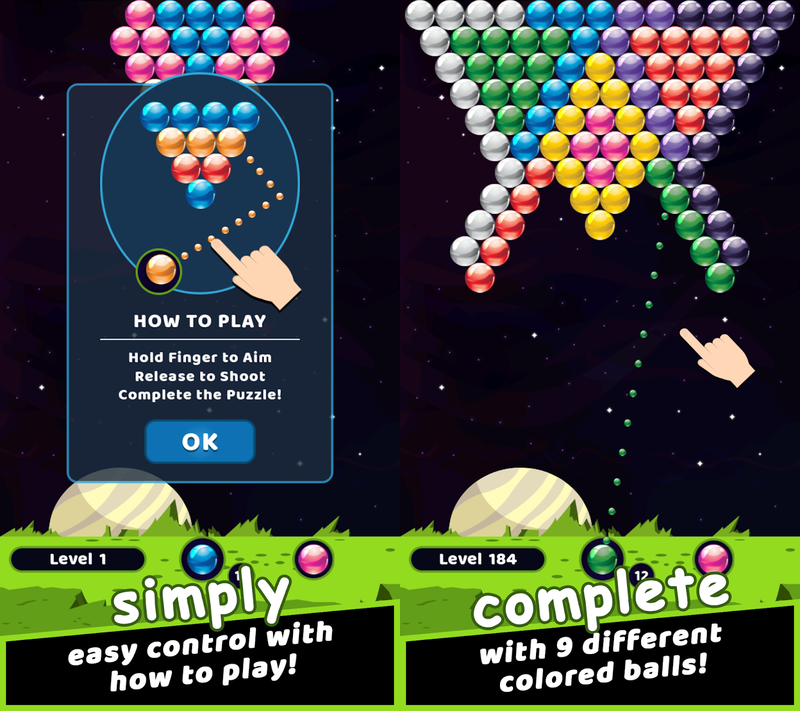 ★ More Complete with 9 different colored balls and special boosters! ★ Aim, Shoot, Switch current ball with next ball strategically with limited shots! ★ Autosaved game, "Continue" your progress later or re-play previous stages! ★ Very Calm, Relaxing, Cheerful and refreshing background music and sound effects! ★ and last but not least, supports Offline play without WiFi too! 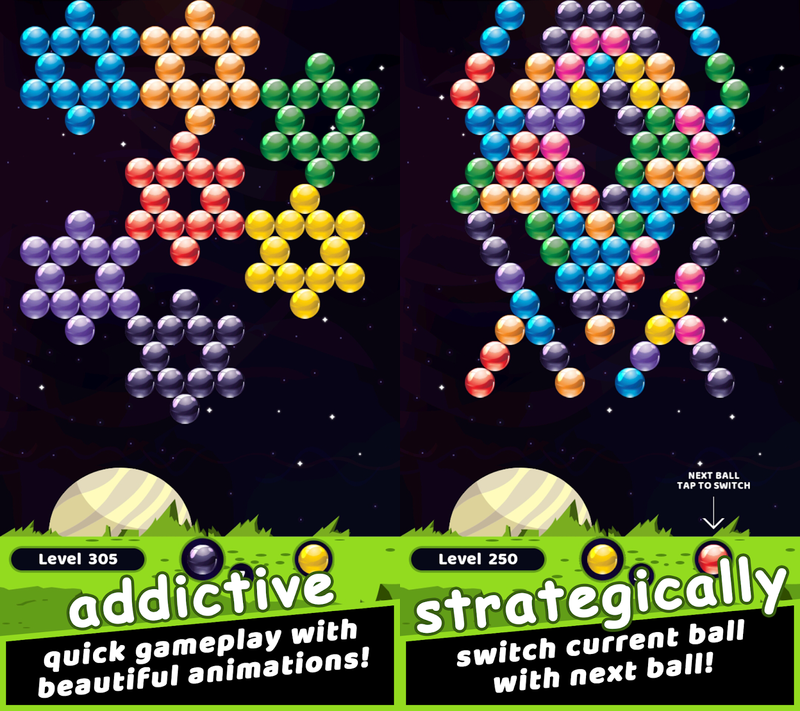 - Drag your finger to aim, and lift it to shoot bubbles and pop all the bubbles on the screen by matching 3+ colors to clear the missions for every stage along the way. 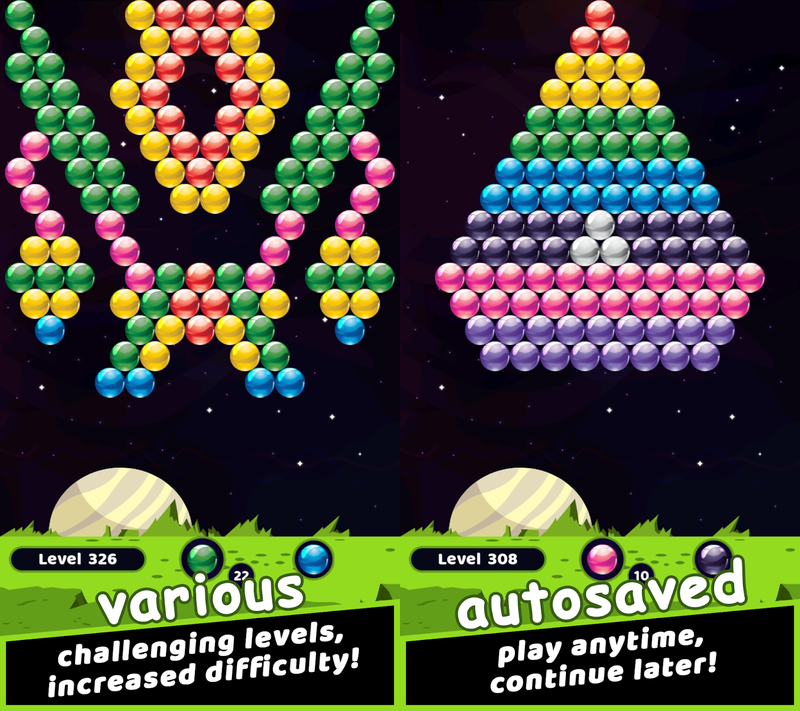 - Make progress by winning levels in increased difficulty, to help in your lollypop quest. Complete all the puzzle, so much fun! 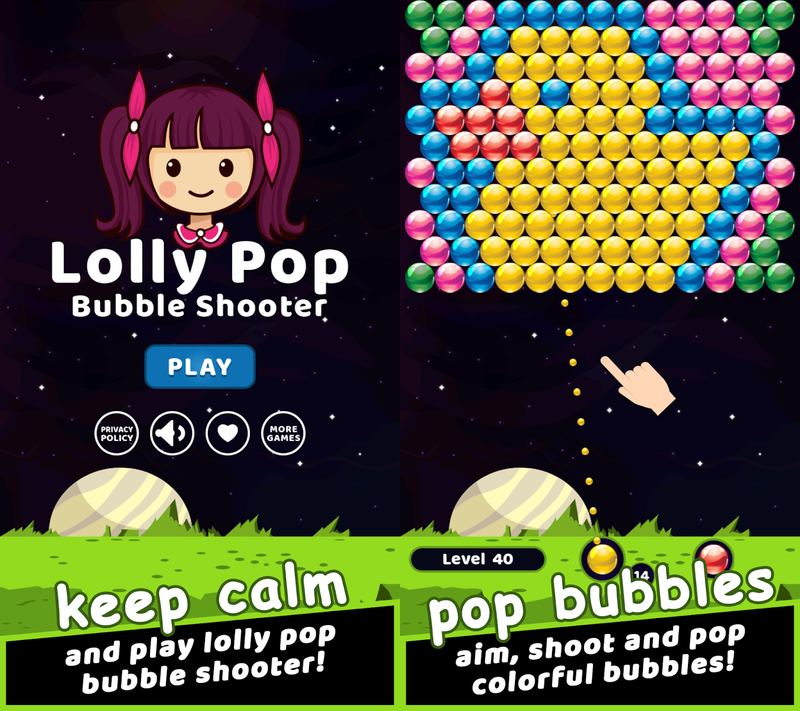 Let's Play Lolly Pop Bubble Shooter and Challenge your bubble popping game skills with the next level of the bubble shooter classic inspired game! 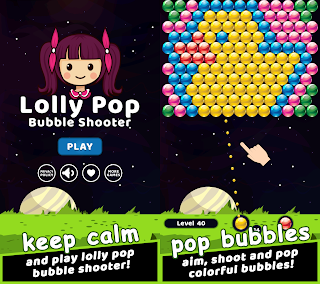 Play shooting bubbles with addicting Lolly Pop Bubble Shooter once and you'll want to play this more complete puzzle bubble shooter game more. Enjoy the game with better experience. Addictive and Tons of fun! 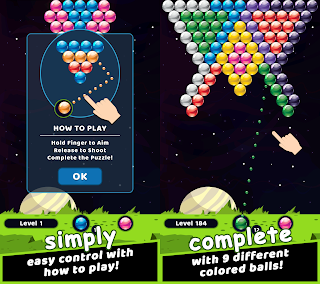 You can now download the Lolly Pop Bubble Shooter from the official Google Play store. HWDOT is a developer and publisher of casual games for mobile including Pinkie Pom, ZEL, Flower 2048, 144 Blocks Puzzle, 1001+ Emoji Puzzles, Color Queen! Flood Puzzle, Super 2048 Plus, The Blackjack 21, Pixel Zombie Sniper, and Lolly Pop Bubble Shooter. We specialize in delivering free-to-play mobile games to markets around the world. For more information, please visit www.hwdot.com. 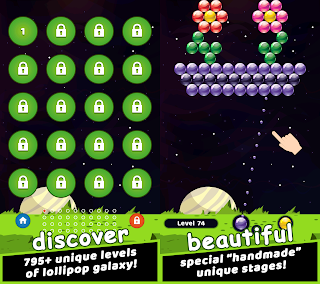 Title : Discover the galaxy: Lolly Pop Bubble Shooter version 2.0 with more than 795+ new unique levels on Android! 0 comments on "Discover the galaxy: Lolly Pop Bubble Shooter version 2.0 with more than 795+ new unique levels on Android!"